D3 Super Finale Will air On Mazhavil Manorama Channel this sunday, 20th november 2016 at 6.00 p.m. actor suresh gopi will be the chief guest of this show, d4dance season 3 on mazhavil manorama reaches it’s super finale. 3rd season of d 4 dance reaches it’s finale, who is the winner of d3 ?. we need to wait few more days for the answer. d4 dance is one of the most popular malayalam reality show. it’s judged by priyamani, neerav bavlecha and prasanna sujith etc.Solo, pair and group are the 3 categories of d4dance reality show. we can check the contestants list of d4dance season 3 aka d3. Nakul Thampi, Priyanna, Vismaya Bismi, Ninjaz, Vishnu, Jazz, Newton, Nikhil are the d3 contestants in solo section. aswin and shikil, shamas and ankith, raeez and roshan, vikas and sruthi, juhi and bhavik are the pair contestants of d 4 dance season 3. Team Manavalans, Team Kantharees, Team Maram Kothizz and Team Shiva are participating in group. These are full list contestants participated in d3 reality show. 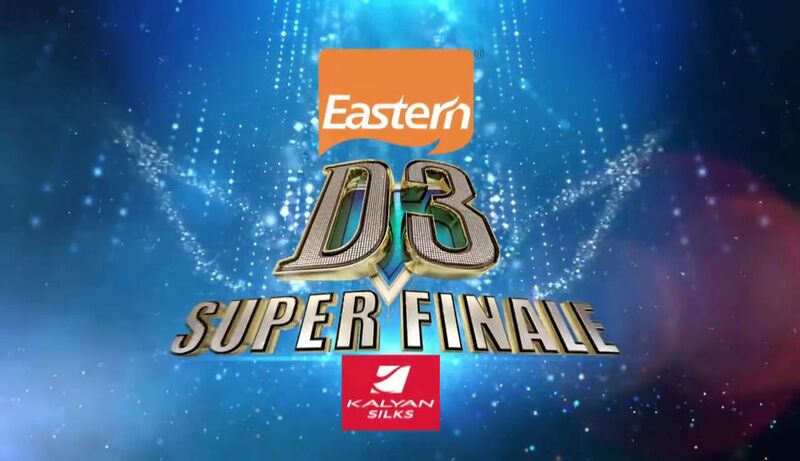 D3 Super Finale will be available also on mazhavil manorama hd channel. stay tuned for more updates about the latest season of d4dance reality show. As per latest malayalam channel ratings, mazhavil manorama dropped into 5th positions. we can expect the 4th season of d4 dance on mazhavil manorama. don’t forgot to watch the super finale of d3 dance reality on mazhavil manorama, 20th november 2016 at 6.00 p.m. stay tuned here for all the latest updates of all malayalam television channels. previous winners of d4dance are ramzan muhammed, pranav sasidharan and suhaid/kukku. d3 winners list will update here, once they published the same. winners list of d 4 dance season 3 will be update after the official announcement.